Beta 2 was very useful in terms of getting more bugs fixed and code improved. Focus was on optimizing and fixing the backup that has proven to be defective and very slow compared to other plugin. But, that is no longer the case, and backup with all the flexibility has speed also. Due to the way PclZIP class works, adding file by file was slow, since PclZIP opens and closes archive for each file added, and that takes a long time. For file backups, plugin now prepares the list of files to backup and than sends all file the the archive. Also, many servers now days have native PHP extension for ZIP built in, and plugin will use this extension if found, if not, it will fall back to the PclZIP. There were couple of bugs with upload procedure, and they are fixed now, and further improved. Now, you can select more than one destination to upload archive too, and also, Dropbox support is added. Interface is fixed so that delete buttons for files and jobs work. Among default file backup tasks, I have added two more for backing up the error_log files. Most servers are set to create these files in website folders where errors occur, and with this task you can create archive from them. Second task for this is the same, but will also delete this error logs, so you can have regular backup jobs that only deal with error logs, make the job upload to Dropbox and that is the easiest way to have daily report of all errors on the website without the need to go through logs manually through server control panels. Also, as you can see on image below, if you have backup running, you can’t access the file that is in creation or upload process, and you can see what is the progress on that specific backup process. Here is the new stats for backing up GD Star Rating website. 3852 files and 582 folders, full database are backed up in archive of 87.4MB in size. Backup time was 4.2 seconds. And 70 seconds were needed to copy backup archive to Dropbox. 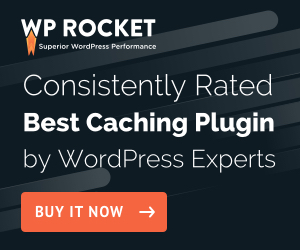 Also, most cache plugins can cause problems with some features due to overrides they add for many WordPress functionalities. Major issue was problem downloading large backup archives due to problems with W3 Total Cache plugin. I have made some changes in attempt to prevent these problems, and for now it’s OK, but if you notice any more problems, please report them, and also include which cache plugin you use. Debugger is improved with more relevant data and easier access via dashboard widget. Sitemaps and Security also are improved and few minor problems fixed. Overall, I think that this is very stable build and I expect only minor problems that will be fixed before the final version is released this week. Final plugin version will be released on February 24 2011. There are no known issues at this moment. Please, report any problems or bugs you find. RC 2 is released with improvements to backup upload code. FTP is still having some issues with some server types or settings. RC 3 is released with improvements to backup upload code, file manager and debugger.